1- Applications are invited Online from qualified candidates through the proforma Application to be made available on Commission’s WEBSITE (www.tspsc.gov.in) to the post of Secondary Grade Teacher in School Education Department. 2) The Examination (Objective Type) is likely to be held in 2nd Week of February 2018. The Commission reserves the right to conduct the Examination either COMPUTER BASED RECRUITMENT TEST (CBRT) or OFFLINE OMR based Examination of objective type. The Candidates will have to apply Online through the Official Website of TSPSC. Detailed user guide will be placed on the website. The candidates will have to thoroughly read before filing Online applications. IMPORTANT NOTE: Candidates are requested to keep the details of the following documents ready while uploading their Applications. as per Rules and will be calculated on the above lines. *As per G.O. Ms. No. 329 GA(Ser.A) Dept., Dt. 27/07/2015 read with G.O. Ms. No. 264 GA(Ser.A) Dept.,Dated: 26-07-2016 and G.O. Ms. No. 190 GA(Ser.A) Dept.,Dated: 08-08-2017, the upper age limit is raised up to 10 years. N.B. : 1) No person shall be eligible if he/she is less than 18 years of age. 2) No person shall be eligible if he/she crossed 58 years of age (Superannuation age. 7. This Recruitment is entrusted to TSPSC vide G.O.MS. No. 19 School Education (GENERAL) Department, Dt: 18/05/2016 and Finance Clearance vide G.O. Ms. No.129 Finance (HRM-II) Dept Dt.01/09/2017. The following certificates must be kept ready by the candidates for the purpose of verification and also at the time of making online application. vii). Local Scheduled Area Certificate (Candidates hailing from Agency Area) wherever applicable. The following Certificates should be obtained from Govt. of Telangana State in prescribed proforma for the purpose of verification. ix). Non-Creamy Layer Certificate as per Form- VIIB / Creamy Layer Certificate as per Form- VIIC. x). Certificate of Residence / Nativity (where the Candidates not studied in School / Private Study) The following Certificates (whichever is applicable) should be obtained from Competent Medical authority for the purpose of verification. THE FINAL SELECTION OF THE POSTS WILL BE BASED ON MARKS SECURED IN THE WRITTEN EXAMINATION EITHER ONLINE OR OMR BASED BY GIVING 80% WEIGHTAGE FOR WRITTEN TEST AND 20% WEIGHTAGE FOR TET PAPER-I PUT TOGETHER. 1. Those candidates who qualify in the Examination (Objective Type) in order of merit by giving 80% weightage for written test and 20% weightage marks in TET Paper-I put together will be called for verification of Certificates, Community and Category wise for the vacancies available as required. The minimum qualifying marks for Selection are OCs 40%, BCs 35% SCs, STs and PHs 30%. The minimum qualifying marks are relaxable in the case of SC/ST/BC/PH at the discretion of the Commission. 2. 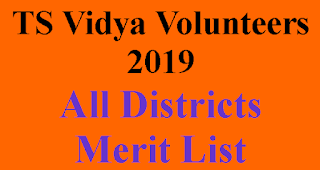 The candidates will be selected and allotted to Service/ Department as per their rank in the merit list and as per District preference for allotment of candidates against vacancies and for the vacancies available. N.B. 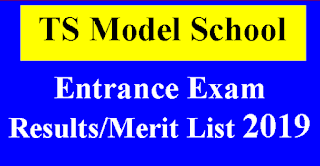 : Mere securing minimum qualifying marks does not vest any right in a candidate for being considered for selection. 2) The candidates must note that his/her admission to the examination is strictly provisional. The mere fact that an Admission to the examination does not imply that his/her candidature has been finally cleared by the Commission or that the entries made by the candidate in his/her application have been accepted by the Commission as true and correct. The candidates have to be found suitable after verification of original certificates; and other eligibility criteria. The Applicants have to upload his/her scanned recent colour passport photo and signature to the Application Form. Failure to produce the same photograph, if required, at the time of interview/ verification, may lead to disqualification. Hence the candidates are advised not to change their appearance till the recruitment process is complete. 6) The Penal Provisions of Act 25/97 published in the A.P. Gazette No. 35, Part-IV.B Extraordinary dated: 21/08/1997 shall be invoked if malpractice and unfair means are noticed at any stage of the Examination. (iii) Scribe will be provided to those candidates who do not have both the upper limbs for Orthopedically Handicapped. However, no extra time will be granted to them. 7) After logging in, your screen will display: Profile Information - Check the details & click on “I Confirm” or “I Deny”. Detailed exam instructions - Please read and understand thoroughly. Please click on the “I am ready to Begin” button, after reading the instructions. 18) The SUBMIT button will be activated after 150 Minutes. It will continue for an additional 50 Minutes for PWD candidate eligible for compensatory time. Please keep checking the timer on your screen.